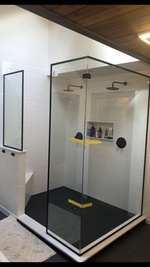 New custom cut shower enclosure, made with 3/8' tempered glass. 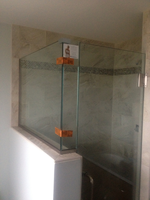 3/8" specialty glass "storm" installed in a new shower unit. 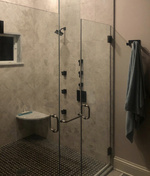 Another custome made shower enclosure. 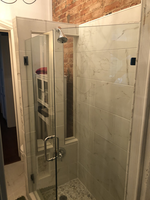 Made to fit this smaller space. 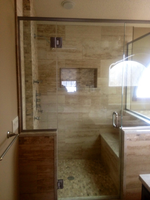 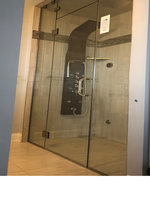 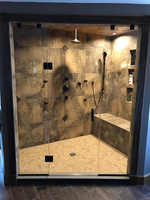 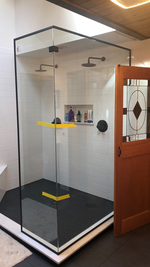 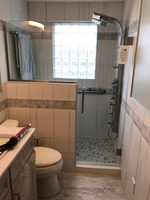 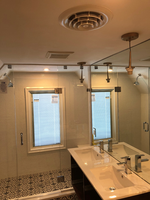 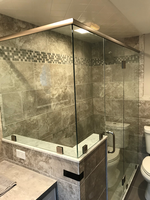 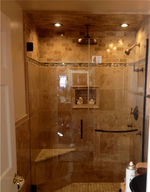 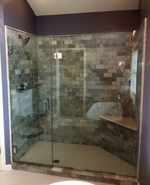 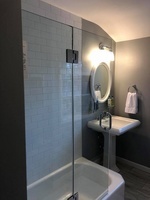 Updating a bathroom with a Custom made Shower enclosure. 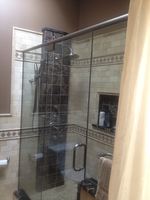 3/8 inch tempered glass with diamond fusion. 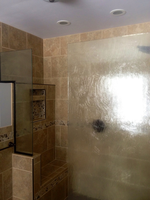 Helps prevent water stains.